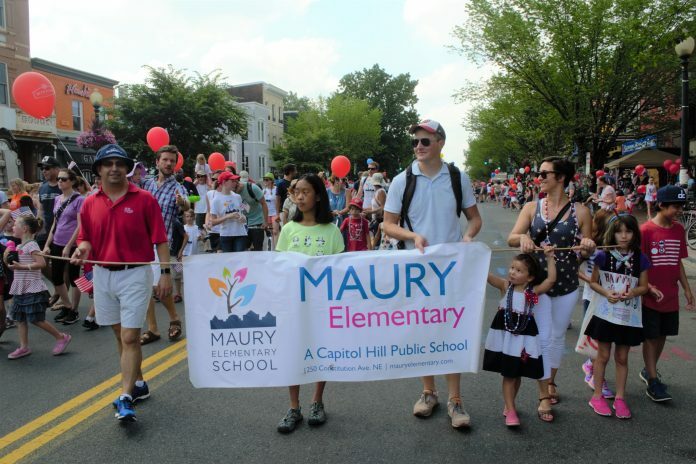 Maury Elementary School carries the banner at the Capitol Hill July 4th Parade. It’s looking like it’ll be a bit chilly outside this weekend –so why not enjoy the good times indoors at the Maury Used Book Sale? 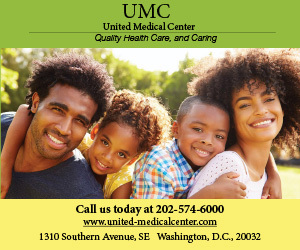 From 10 a.m. to 2 p.m. this Saturday, Feb. 9 there’s something for everyone to enjoy at Maury Village (1840 Constitution Ave. NE) –including hot chocolate, craft making, the story-time corner as well as a wide variety of books, DVDs, puzzles and games for sale. Purchase a $10 pass good for a hot chocolate and snack, participation in a craft, unlimited story time and up to ten media items. Items and experiences are also available to purchase a la carte at the door. The book sale benefits the Fifth-grade capstone experience at Space camp, the U.S. Space and Rocket Center in Huntsville, Alabama. On the three-day trip, students learn about STEM and the history of space missions. They complete a realistic space mission with space simulations. The trip is a big tradition for Maury fifth graders. The incredible experience costs around $1,000 per student, an amount that is out of reach for many of the students. The fundraising efforts support the total cost of the trip, ensuring that every student has the opportunity to attend Space Camp. It’s not too late to donate your gently used books and other items such as gently used grown up and children’s books, games, puzzles, and DVDs. Drop them off in the Maury multi-purpose room (the white tent on C St. NE between 18th and 19th streets) before and after school hours. You can buy passes online: https://mauryele.ejoinme.org/usedbooksale and donate an all-inclusive pass to a student in need at the same link. Note that during the school’s modernization, Maury ES is temporarily housed in trailers next to Eliot-Hine between Constitution and C Streets NE. 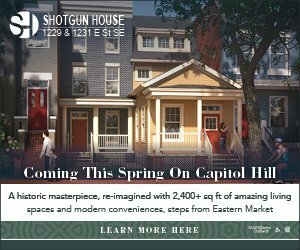 The multi-purpose room is a large white bubble/tent accessible from C Street NE.